Efficient and professional public works programs manage our water, sewer, streets, traffic operations, storm water drainage, fleet maintenance, public building maintenance, recycling and solid waste collection. These services are vital for the safety, health and high quality of life we enjoy in our growing community. This week marks the 57th annual National Public Works Week, which celebrates the thousands of men and women across the United States and Canada who provide and maintain the infrastructure and services known as public works. 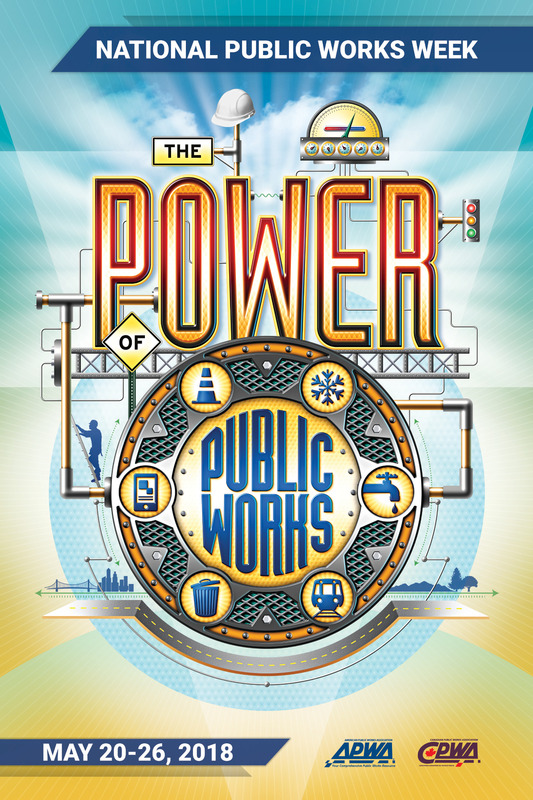 This year’s theme is “Public Works Connects Us,” which celebrates the role public works plays in connecting our communities with our streets, roads, bridges, and public transportation. Did you know that College Station is the only city of our size (80,000-150,000 population) in Texas with nationally accredited Public Works and Water Services departments? Administered by the American Public Works Association (APWA), the accreditation program recognizes agencies that go beyond the requirements of established industry practices. 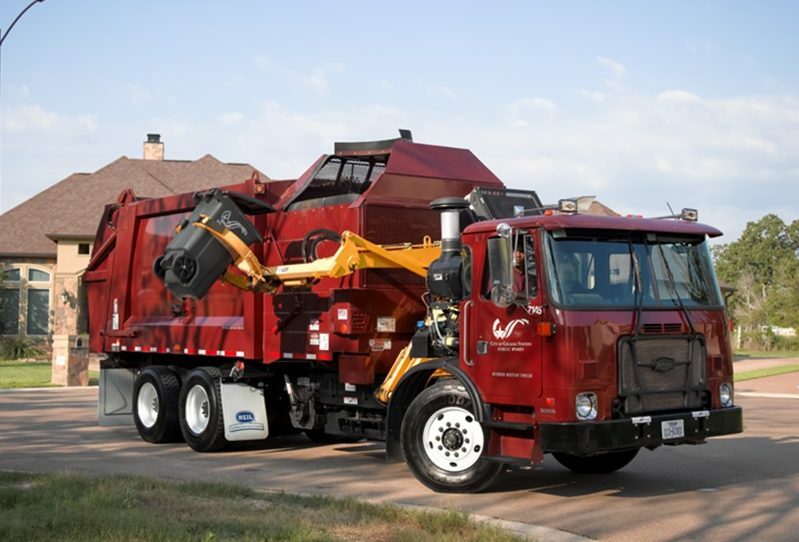 The College Station Public Works Department consists of eight divisions — Capital Projects, Facility Maintenance, Streets Maintenance, Drainage Maintenance, Traffic Operations, Sanitation, Fleet Services and Administration. Our 123 employees deliver sanitation services and plan, build and maintain the infrastructure that allows our community to grow and prosper. Sanitation Superintendent Wally Urrutia is in his 30th year with the City of College Station. He was named Solid Waste Manager of the Year in 2016 by the Texas Public Works Association. Ret. Gen. Joe Hanover, 99, says the underpass has changed little in 50 years. Photo by Henry Mayo. Gen. Hanover speaks at the ceremonial opening on the University Drive underpass at Wellborn Road on March 21, 1967. Photo: Texas A&M Cushing Library. A half-century ago today, the complexion of the Northgate area was forever altered with the ceremonial opening of the underpass at University Drive and Wellborn Road, the first of its kind in Brazos County. 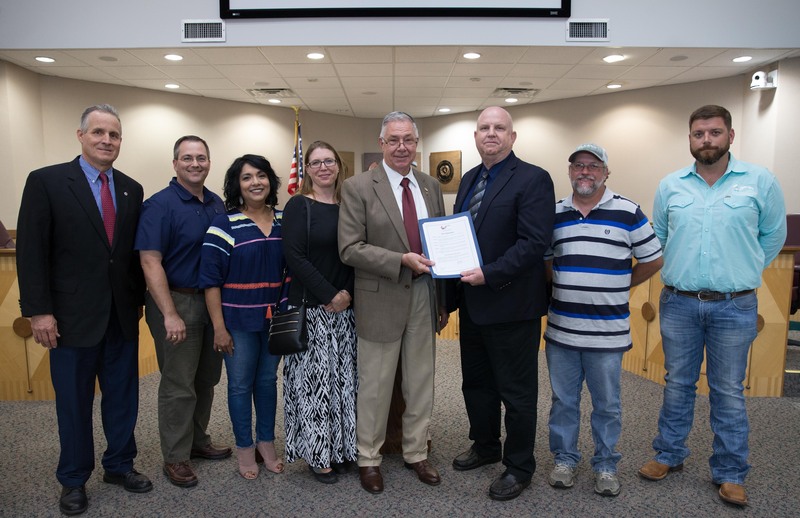 The College Station City Council today honored the man who supervised the project for the Texas Highway Department, Ret. Gen. Joe Hanover. Councilwoman Blanche Brick read this proclamation before the council’s Transportation and Mobility Committee meeting. Click here for the complete story about the underpass project from Monday’s edition of The Eagle. Now 99 years old, Hanover is just a year younger that the Texas Highway Department, which is observing its 100th birthday. Photo: Texas A&M Cushing Library. Councilwoman Blanche Brick reads the proclamation to Gen. Hanover. Gen. Hanover poses with city staff and members of the Transportation and Mobility Committee.